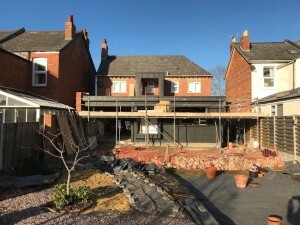 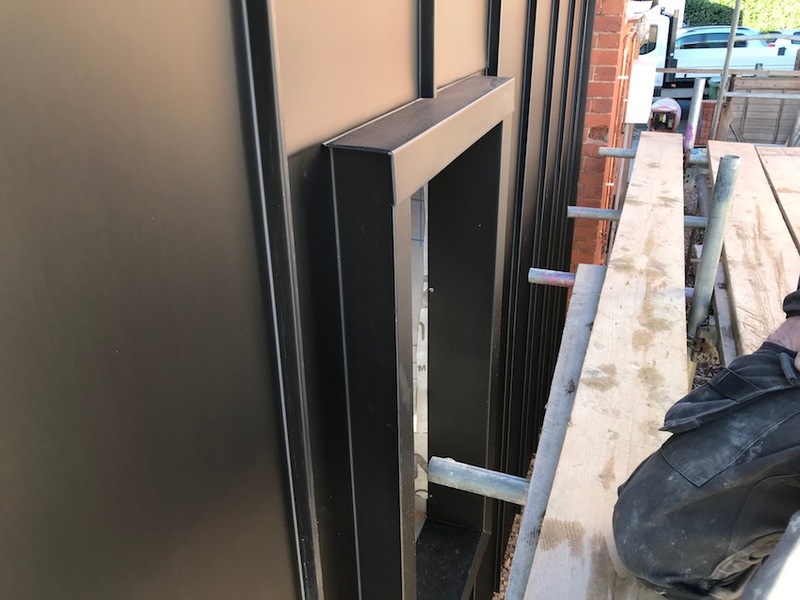 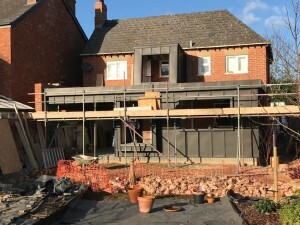 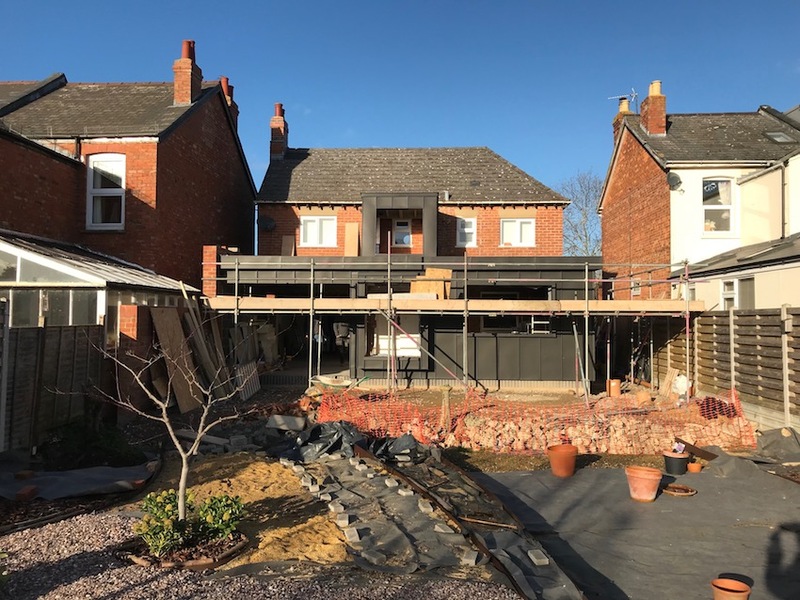 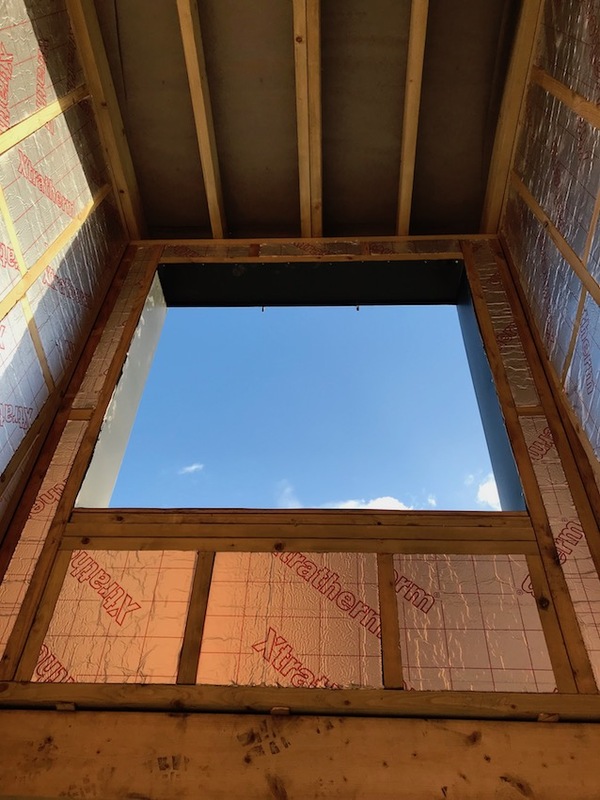 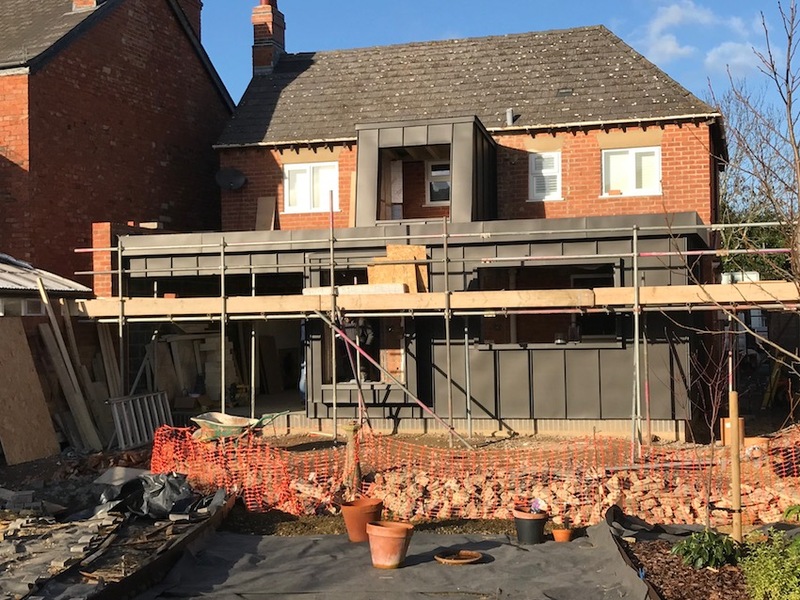 Stanley Partnership Architects visited their Clients site in Cheltenham, Gloucestershire and photographed the progress made by the Contractor (W & L Building Services). 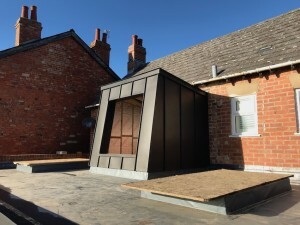 The timber framing has been finished and the roofing membrane applied. 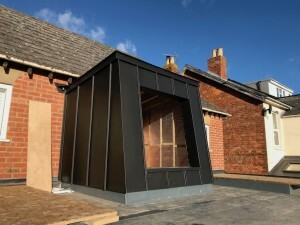 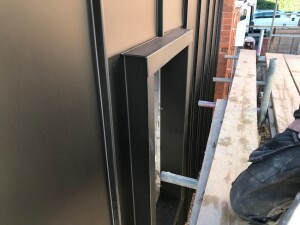 Q & M zinc have almost completed the Anthracite standing seam zinc finish and looks stunning. The underfloor heating and screed have been installed and the windows are next to complete the weather proof envelope. 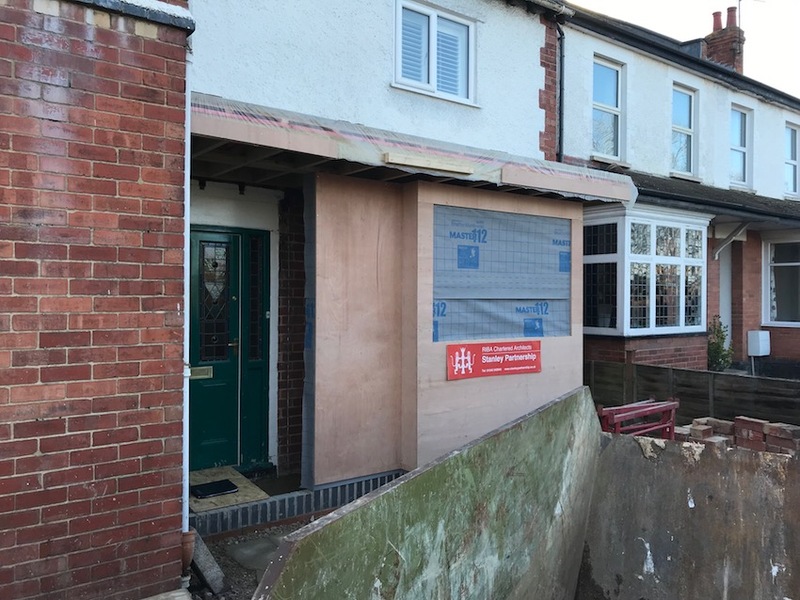 The front porch has been constructed and next will get the flat roof finish and timber cladding.